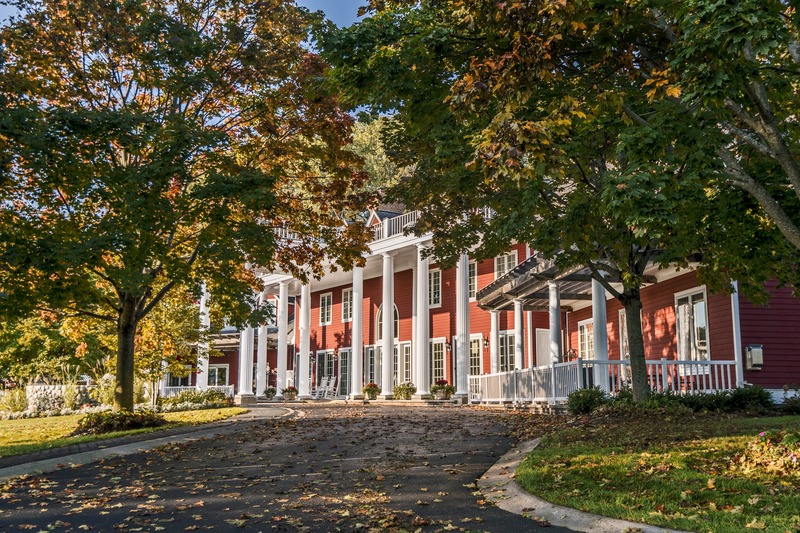 For your next Michigan getaway, book like-no-other lodging as part of the adventure. 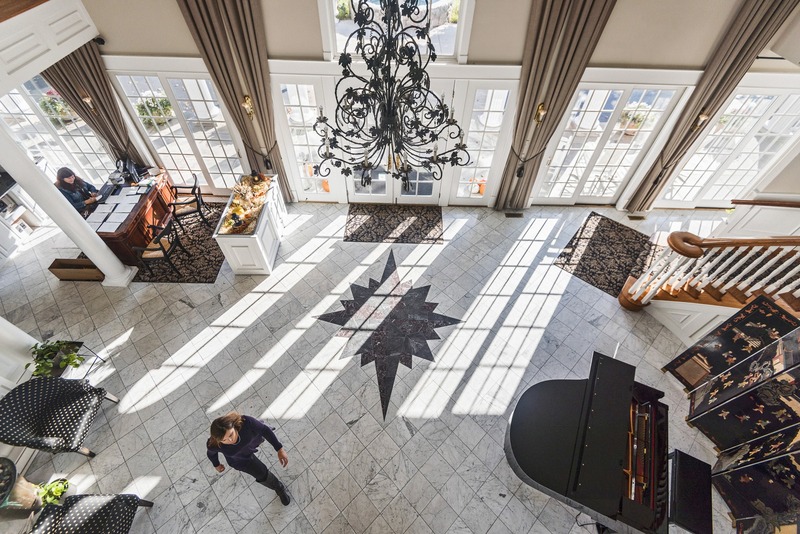 Check out our ideas for boutique Detroit hotels, wineries with inns, lighthouse lodgings, yurts and more. Downtown Detroit renovations are turning existing properties into boutique hotels. Once housing the Detroit Fire Department Headquarters, the Detroit Foundation Hotel now boasts 100 rooms. Aloft Detroit occupies part of the 1915 David Whitney Building, and in late 2018, a 20th-century building will become the Shinola Hotel. Guests find rooftop urban cabins, light-filled main-floor rooms and budget-friendly lower-level garden-view quarters. 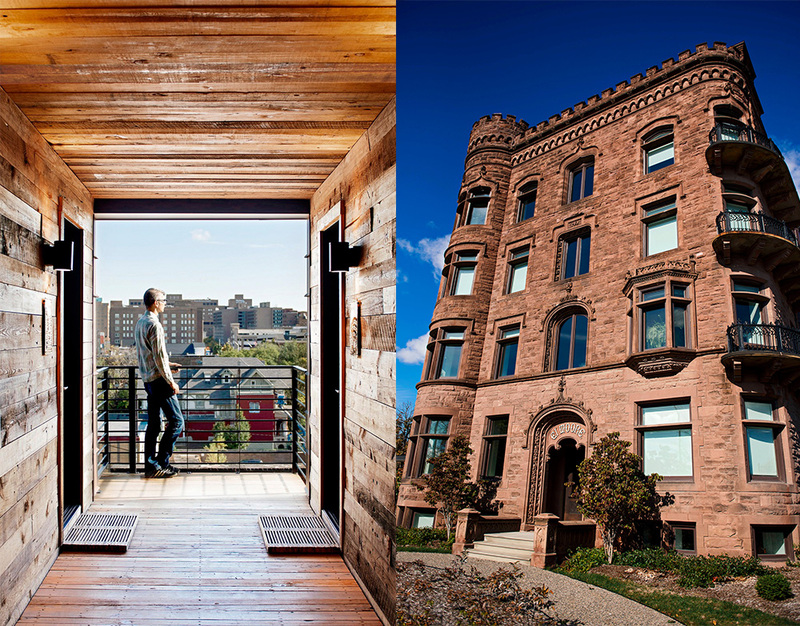 The 1898 building has been sustainably renovated with a mix of historical and reclaimed materials (some from the El Moore proper). Stroll to Midtown cultural attractions, restaurants (Selden Standard, Traffic Jam and Snug, Jolly Pumpkin) and shops (City Bird, Nest, Shinola, Peacock Room, Frida). Grapes love the Old Mission Peninsula’s climate. Two wineries with inns stand out: Chateau Grand Traverse, northern Michigan’s oldest, rocks Rieslings. Chateau Chantal prides itself on Pinots and won seven gold medals at the 2016 Taster’s Guild International Wine Competition. Sprawling Black Star Farms offers diverse diversions—hors d’oeuvres and horses, vineyards and vinaigrettes, cheese trays and trails. The inn’s 10 stellar rooms, named for stars in the sky, feature modern furnishings and bedding that coddles. A bottle of house wine awaits your arrival, as does a nightly reception. Dining options include monthly harvest dinners, the rural-rooted Hearth and Vine Cafe, and farm breakfasts. Meals might inspire you to take a class from a masterful chef or to master the art of relaxation in the sauna. Explore the property on a guided tour or follow a series of trails around the 160-acre estate. (Top) The Inn at Black Star Farms' white pillars create a grand impression as guests approach from M-22. (Bottom) The inn's name is reflected in the elegant star etched in the two-story atrium. Owner Susan Odom sets the clock back a century at her 1910 farmhouse inn with welcoming chickens, period decor and meals cooked on a wood stove. Sleep in a wrought-iron bed, then wake to a soak in a claw-foot tub and a hot, farm-fresh breakfast. 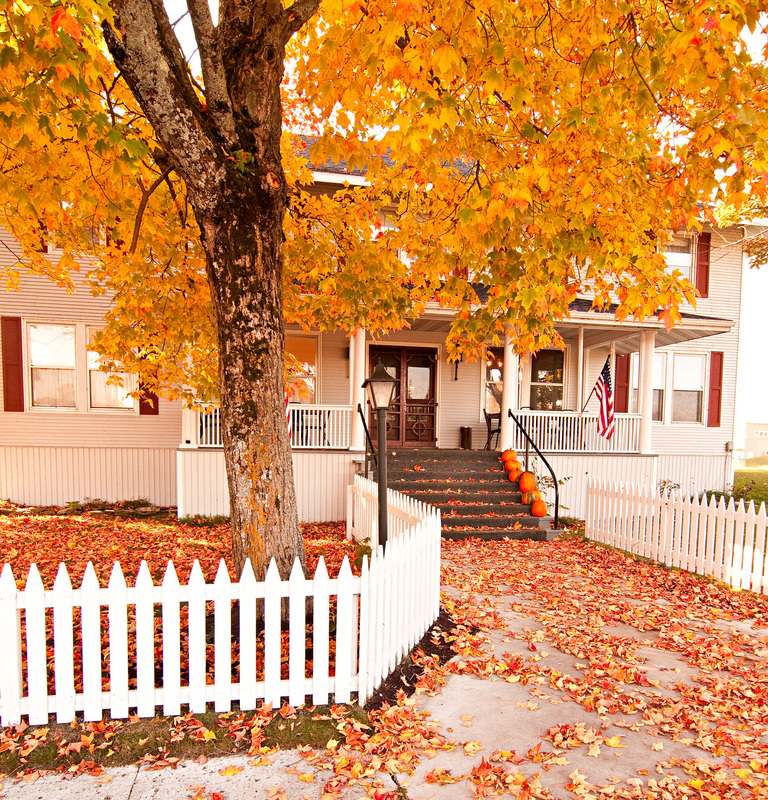 A ghost named Nell is said to visit this 1909 inn, built when Nahma was a lumber company town. It’s still a favorite haunt, thanks to charming period-style rooms, an on-site restaurant and a lounge that serves (distilled) spirits. Water-based fun beckons outside on Big Bay de Noc. One guest room at Nahma Inn in the Upper Peninsula is said to belong to Nell, the resident ghost. A lumber baron’s 1896 home has morphed into a lodge-look inn by Lake Superior’s Munising Bay, a jumping-off point for Pictured Rocks National Lakeshore and Grand Island National Recreation Area. Rustic woodwork sets off the common areas and 18 guest rooms, some of which offer bay views. Several lighthouses let volunteers stay in exchange for greeting guests, guiding tours, helping in the gift shop and other duties (training provided). Participating lighthouses include Grand Traverse, Old Mission Point, St. Helena Island, Tawas Point, Au Sable, Big Sable and DeTour Reef. The two-story brick building and adjoining tower contain seven guest rooms (with private baths), a shared living room, a library and a sauna. Climb the 1896 lantern tower to take in views from 120 feet above Lake Superior—survey fields and forests, spy the Huron Mountains, and (on a lucky night) glory in the Aurora Borealis. Roam the lakeshore or explore acres of woods and meadows crossed by trails and wildlife. 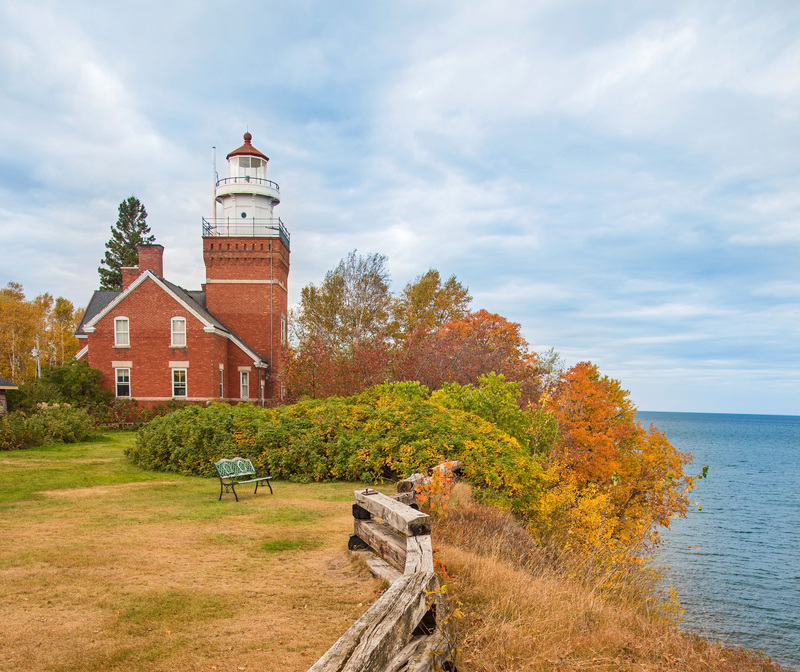 Big Bay Lighthouse Bed and Breakfast perches on a cliff top overlooking Lake Superior. Check out this group of more than two dozen whimsical homes designed by Charlevoix’s own Earl Young. The curved-roof dwellings with deep eaves and stone walls seem to have popped up like toadstools. Some of the private homes are available for short-term rental. View the exteriors on a walking or self-conducted driving tour of the neighborhood (free map from the Chamber of Commerce). You can also eat at the nearby Weathervane Restaurant and stay at the Weathervane Terrace Inn and Suites, both designed by Young. Staying in a Frank Lloyd Wright home is a rare privilege. Few of the architect’s designs are open to overnight guests. Among them is Palmer House, which is available for rent. Built in the early 1950s on the edge of Nichols Arboretum, Palmer House was one of Wright’s last residential projects. The 2,000-square-foot brick and cypress home offers three bedrooms and two baths within its triangular layout. Though secluded in feel, the house is a five-minute drive from downtown. Cross a tent with a cabin to get a yurt, a snug-yet-sturdy structure used by Central Asia nomads and now popular among adventure campers. Porcupine Mountains has four 16-foot-diameter yurts for year-round use. Each weather-tight shelter sleeps four on bunk beds and comes with a wood stove and basic utensils—but no running water or electricity. The park provides an outhouse and wood. The only way to access the yurts is via park trails. The distance and difficulty of the hike depend on the season. A 20-foot-diameter yurt sits on a wooden deck and features a skylight in its domed roof. Two handmade log bunk beds and stacking cots sleep up to seven adults. Park trails and the nearby Muskegon Winter Sports Complex offer opportunities for outdoor fun. Though there’s no running water, in warmer months you can use modern restrooms and showers at a campground across the road. In winter, count on using the provided outhouse.